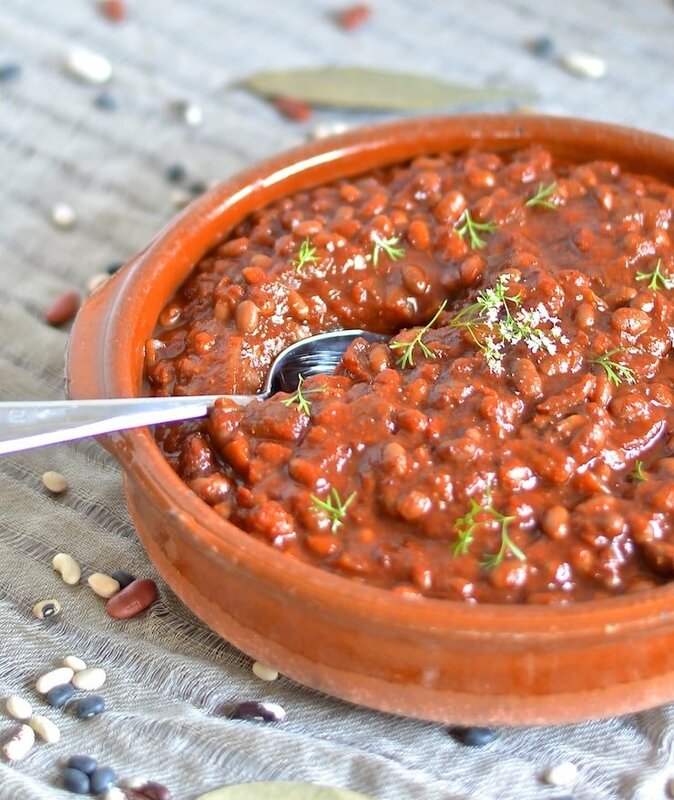 These thick, sweet & smoky slow cooked vegan baked beans need a little initial prep then you can leave them to do their thing while you do yours. 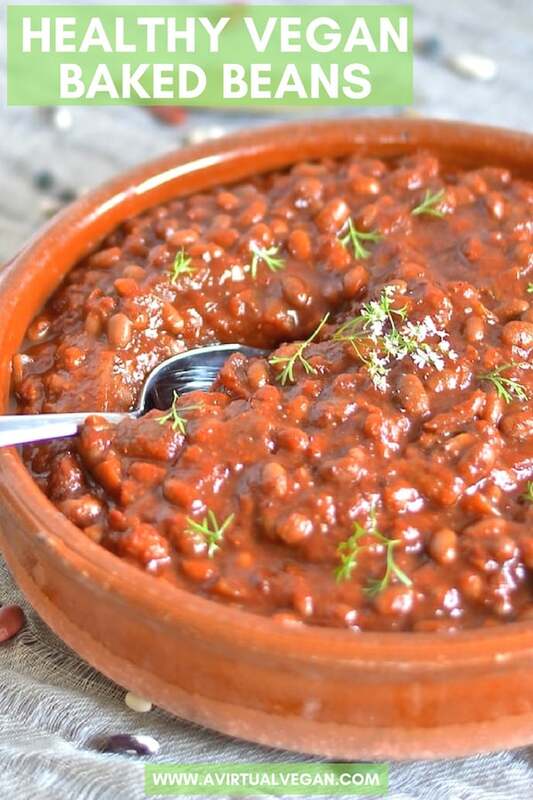 You will be rewarded with a comforting & delicious pot of the most amazing baked beans with rich, deep & complex flavours. 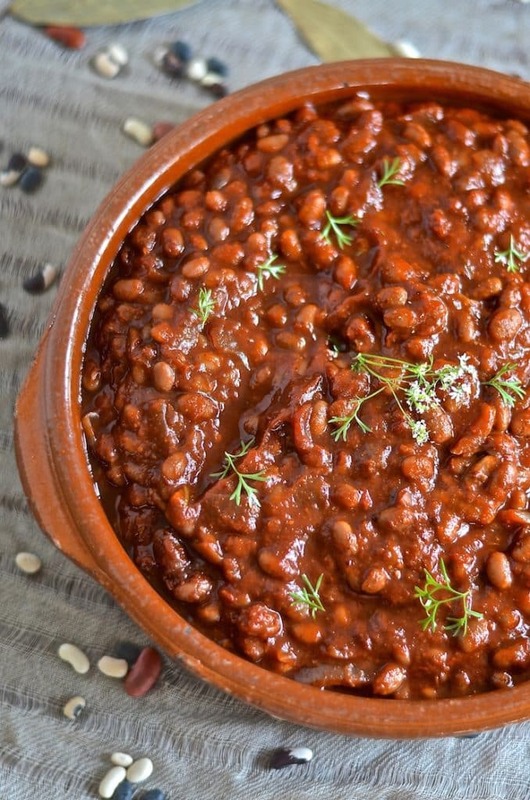 Step away from that can of baked beans and make these Vegan Baked Beans instead. Just do it…..you will not be disappointed. They are totally awesome and I should know as I have eaten rather a lot of them in the past few months while trying to get this recipe just right. By making them you will not only be treating yourself to a delicious, nutritious meal, you will also be helping to support International Year Of Pulses. 2016 is International Year Of The Pulse as declared by the United Nations in 2013. The idea is to put pulses on the map as a primary source of protein and essential nutrients. Awareness of pulses will be increased globally and hopefully it will help to show that there is life after animal protein and decrease people’s reliance on the cruel and barbaric meat and dairy trades. Pulses too can help improve the sustainability of agriculture. Read more about this and get more information on pulses in general by visiting Pulse Canada. So in honour of Year Of The Pulse I bring you my Vegan Baked Beans. These beans can be cooked in a slow cooker, on the stove top or in the oven so you can choose the method that suits you best. Any way you do it they take a while to develop their rich, complex, smoky flavour but this is all hands off time. 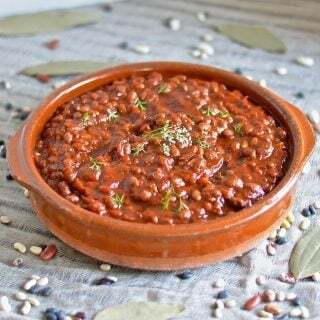 After a bit of initial prep , these Vegan Baked Beans simmer slowly for hours and hours until they are rich, thick, sweet and smoky. They have the most amazing complex flavour and the smell in the house while they are cooking is so good! This recipe makes a lot but reheats perfectly and will keep for up to five days in the fridge. The flavours continue to develop over this time and just get better and better. They also freeze very well for a convenient no effort dinner at a later date. 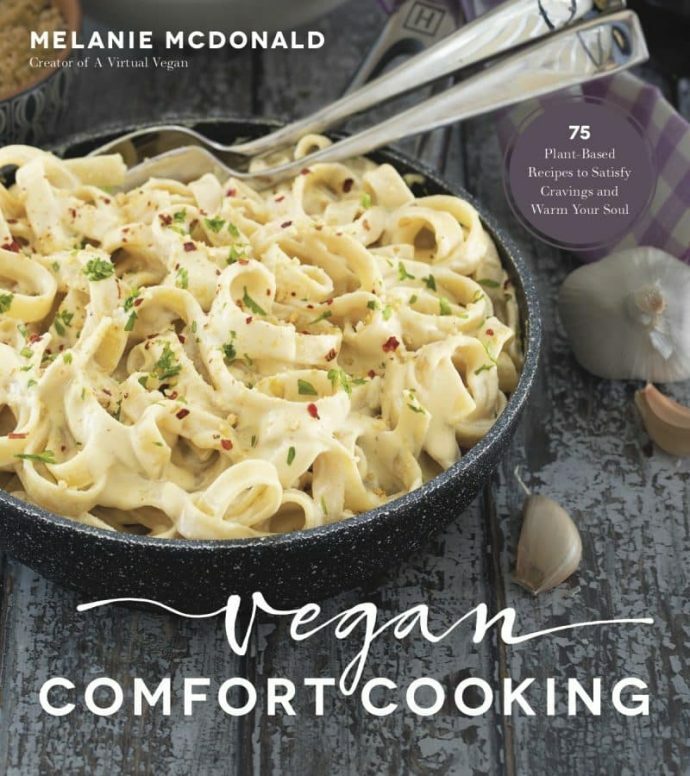 I love to bake a potato in the oven until it is crispy on the outside and soft and sweet on the inside, cut it in half, dollop on a bit of my Easy Vegan Butter, sprinkle with nutritional yeast (I love the Bob’s Red Mill brand) and mash it into the flesh a bit with a fork, then top with my thick, delicious Vegan Baked Beans. So, so good! You can also serve them with some fresh bread or in the traditional English way, on toast. They also make a great side dish especially when they accompany my Bubble & Squeak Patties. A great dinner for getting lots of nutrition into unsuspecting children! However you are going to serve them do it soon as I am sure you will love them! 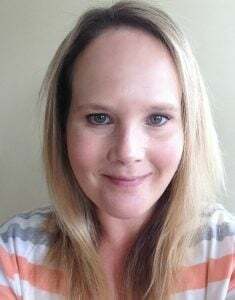 Let me know what you think by leaving feedback in the comments below. You can also share your pictures to my Facebook page or on Instagram or Twitter. Just be sure to tag me @avirtualvegan so I don’t miss them. 1 heaping tablespoon smoked paprika , OR liquid smoke, (see recipe notes for advice on amounts) DO NOT use both. They both give good results. First you need to cook your soaked beans (see recipe notes if you forgot to soak them) Drain off the soaking water, cover with fresh water and bring to a boil then simmer for 40 minutes. They don't have to be completely cooked through as they will continue to cook once you get everything together in the pan. If you are using canned beans skip this step. Once the beans have cooked for 40 minutes drain them then continue onto the steps below depending on your cooking method. Saute onions and garlic until transparent. Add the rest of the ingredients and cook over a medium heat until just starting to bubble. Turn down to low, cover and cook for around 3 hours or until the beans are very soft and the sauce is thick and rich. Check them often and stir to make sure they aren't sticking to the bottom or drying out. If they are just add a few drops of water to bring them back to the consistency you want. 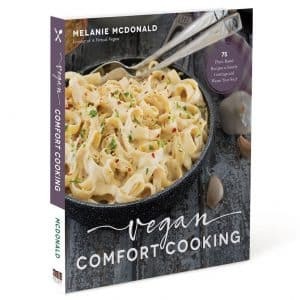 If baking in the oven once a simmer has been reached transfer to a covered oven proof dish and bake in a preheated oven on 300 ° F for 3 - 4 hours or until the beans are soft and the sauce is thick and rich. Again check every hour or so to make sure they are ok and not drying out. If you forget to soak your beans you can use the quick soak method. Put the beans in a pan of water, boil for 1 minute then turn off and leave in the hot water for 1 hour. You can then cook them as usual. If you do not have crushed tomatoes you can use chopped or whole canned tomatoes and just blend them up before using. If you are in the UK passata would be a good substitute. Different brands of liquid smoke vary in strength a lot. I used 2.5 teaspoons in my beans but I suggest starting with only 1 teaspoon and tasting when the beans are nearly cooked. If it is smoky enough leave it, if not add another teaspoon or 1.5 teaspoons. You won't need any more than that. I suggest pre-cooking the beans at least partially to get a much softer result, although it is possible to just throw in the soaked but uncooked beans as they are. I am lazy and often do this! You will not get such good results because the acid in the tomatoes prevents the beans from softening completely, but if you don't mind beans with a little bit of bite then it is perfectly acceptable and will still taste good. If you have lots of leftovers they freeze very well. Keep them in an airtight container and defrost overnight. Warm them through in a pan on the stove, or microwave on medium. Make sure they are piping hot before serving.